Located on the Potomac River across from Washington D.C., Arlington County, Virginia is home to some of the most beautiful memorials and parks in the United States. Visit Arlington National Cemetery, the U.S. Marine Corps War Memorial, the National 9/11 Pentagon Memorial, the Women in Military Service for America Memorial and many other important monuments. 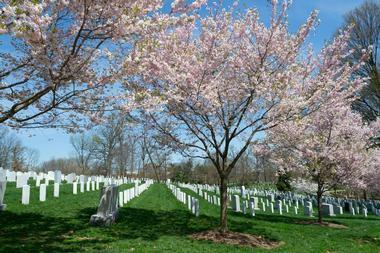 Here are the best things to do in Arlington, VA.
Arlington National Cemetery is a United States military cemetery located in Arlington. Situated across the Potomac River from Washington, DC, it consists of 624 acres of land containing the graves of soldiers who died in the nation’s wars beginning with the American Civil War. It was established during the American Civil War on the grounds of the former Arlington House which is now the Robert E. Lee Memorial. The cemetery is now listed on the National Register of Historic Places. Bus tours are offered and these stop at important places within the cemetery such as President John F. Kennedy’s gravesite, the U.S. Marine Corps War Memorial, and more. Located at the back entrance to Arlington National Cemetery, the United States Marine Corps War Memorial is a military monument dedicated to the memory of all the members of the United States Marine Corps who have died defending the country since 1775. 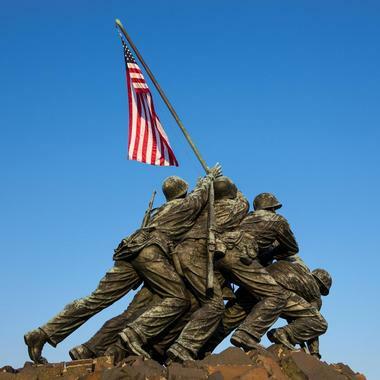 It is also known as the Iwo Jima Memorial. 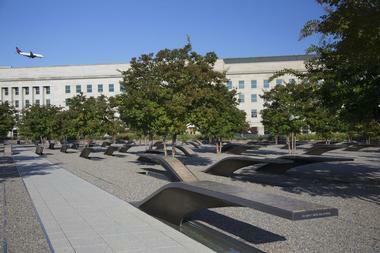 The National 9/11 Pentagon Memorial is located on North Rotary Road just southwest of the Pentagon in Arlington. It is a permanent outdoor memorial to remember the 184 people who died during the 9/11 attack on the Pentagon: these people include those who were in the building at the time of the attack as well as the passengers on American Airlines Flight 77. Located on Air Force Memorial Drive on the grounds of Fort Myer near Arlington National Cemetery and the Pentagon, the Air Force Memorial is dedicated to the memory and service of the members of the United States Air Force. The memorial opened in 2006 and was designed by James Ingo Freed who also designed the United States Holocaust Memorial Museum. 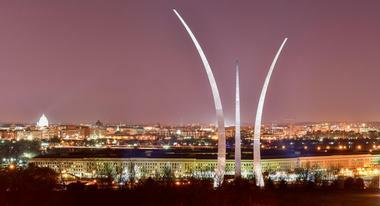 The Air Force Memorial consists of three stainless steel spires ranging in height from 201 feet (61 meters) to 270 feet (82 meters). The design of the three steel arcs is similar to the pattern that is made by the Air Force Thunderbirds during their famous “bomb burst” maneuver. The design is a mixture of modern and neoclassical architecture and largely retains the Hemicycle. 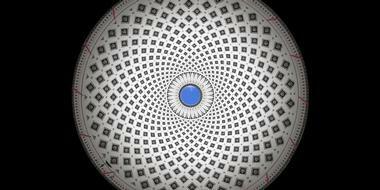 A skylight was added to the terrace of the Hemicycle as well as a circular reflecting pool and a paved plaza. 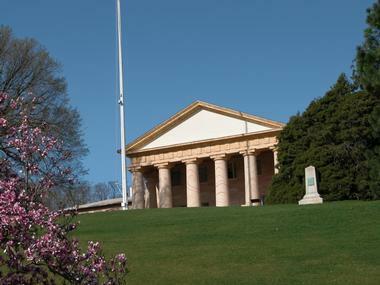 Arlington House, The Robert E. Lee Memorial is a historic house located on Sherman Drive in Arlington. Formerly known as the Custis-Lee Mansion, it is a Greek revival style mansion that overlooks the National Mall in Washington, DC as well as the Potomac River. 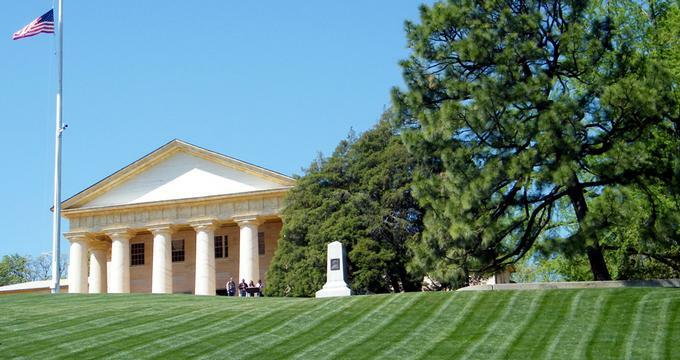 It was the home of Confederate General Robert E. Lee, and, after the American Civil War ended, it was decided that the grounds would be used for the Arlington National Cemetery so that Lee could never return to his home. Later, the United States made the house a national memorial to Lee. 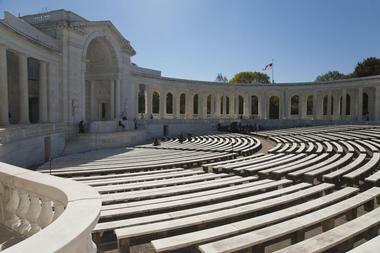 Arlington House is located inside Arlington National Cemetery. The Mount Vernon Trail is a 17 mile (27 km) paved path in Northern Virginia that travels between George Washington’s home at Mount Vernon and Rosslyn. The trail opened as a gravel path in 1972 and was later paved: it is popular with bicyclists and hikers. The trail runs parallel to the western bank of the Potomac River and the George Washington Memorial Parkway. In the northern part of the trail there are views of the river and of Washington, DC because it is an open area. The southern part of the trail is more wooded and the river can only sometimes be seen. The trail is part of the Potomac Heritage National Scenic Trail. Located on Army Navy Drive in Arlington, the DEA Museum & Visitors Center teaches visitors the history of drug enforcement in America. 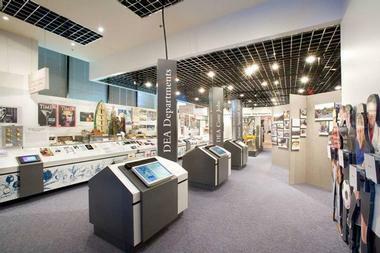 The museum features a variety of interactive exhibits such as “The DEA History: 1973-2008,” “The DEA Memorial Wall,” “DEA: Air, Land & Sea,” and many more. It also features a large collection of more than 2,000 artifacts related to drug law enforcement. The museum offers several educational programs: children can become “DEA Junior Special Agents,” and the museum presents an extensive series of lectures. The Pentagon is the large pentagonal-shaped headquarters for the United States Department of Defense. It is the largest low-rise office building in the world. The Pentagon Tours program offers one hour tours that include a one and a half mile walk through the immense building. Visitors learn about the various branches of the military, the Joint Staff, the Office of the Secretary of Defense, and much more. There are many displays of military related objects and visitors are able to see these and learn more about the Pentagon and its mission. The Pentagon Tours program began in 1976 to celebrate the nation’s Bicentennial. The Signature Theatre is a regional professional theater located on Campbell Avenue in Arlington. Founded in 1990, it is an award winning theater that presents contemporary and classical plays and musicals as well as new works. It is also known as the home of new as well as established librettists and composers who are creating new musical theater works. Since 1991, the theater has had an association with Stephen Sondheim, performing 22 of his works. 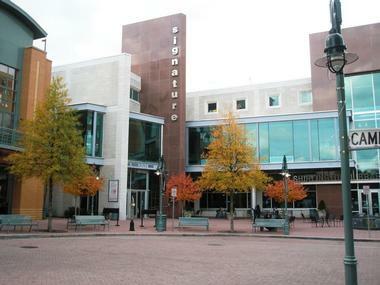 The theater has had to move several times because of outgrowing its facilities: the current home is a theater complex in The Village at Shirlington. 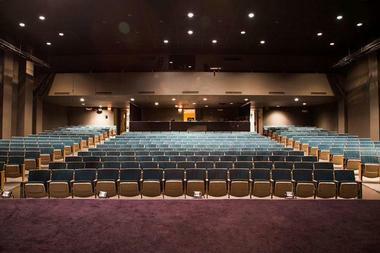 The theater conducts tours and offers discounts to large groups of visitors. The Theodore Roosevelt Island Park is a park on the 88.5 acre island that is located in the Potomac River. The island was known by several names including Anacostine Island, Analostan Island, Barbadoes Island, Mason’s Island, and My Lord’s Island. Eventually the island was given to the American people in memory of Theodore Roosevelt, the 26th President of the United States. Maintained by the National Park Service, the island park is part of the nearby George Washington Memorial Parkway. 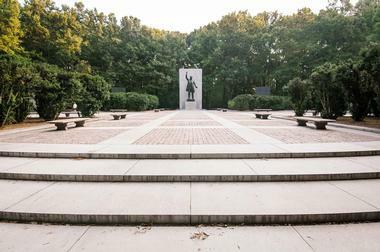 There are no cars or bicycles allowed on the island which is maintained as a nature park with walking trails and a memorial plaza with a statue of Roosevelt. Tours for Humanity is a tour company based in Arlington. It offers a variety of walking tours that help people learn about American history, its heroes, its presidents, and much more. 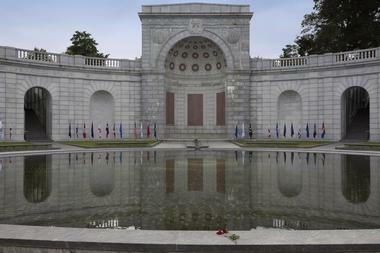 The Arlington National Cemetery Tour includes visits to the Tomb of the Unknown Soldier, the Lee Mansion, and Kennedy’s gravesite while the Tidal Basin Tour goes to all of the memorials around the Tidal Basin. Its National Mall Tour is a two hour tour that leads visitors to the Washington Monument, the White House, the Lincoln Memorial, and more. The Capital Hill Tour includes visits to the Capitol, the Supreme Court, and the Library of Congress. 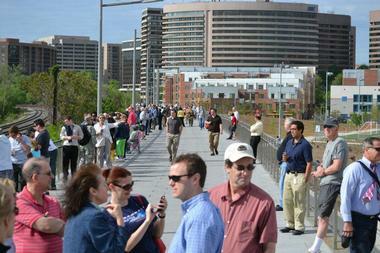 Located on Long Bridge Drive, Long Bridge Park is a public park north of Crystal City. It is a popular park because of its green spaces, its Potomac River views, and its outdoor recreational and sports facilities. The park features many walkways, a garden with native perennials and shrubs, and playing fields used for men’s and women’s lacrosse and soccer teams. The local Major League Soccer team, DC United, sometimes uses the playing fields for their practices. If you are wondering what to do in Arlington, VA with kids, this is a great place to visit. There are picnic areas, a vista point with views of the Washington, DC monuments, and Wave Arbor, which is a public art feature. The park is also a popular place for bird watching. Guests learn about American history as various groups perform, including the U.S. Army Blues, and singers from other groups such as the U.S. Army Band Voices and the U.S. Army Band Downrange. The performances run from early May through early August. 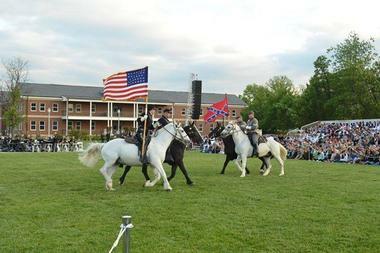 The history of the Twilight Tattoo goes back 300 years to the time when British troops were summoned by drums and bugles back to their barracks. 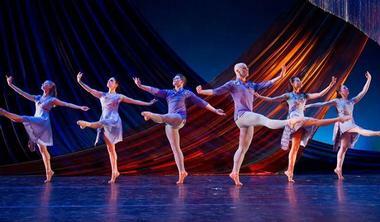 Synetic Theater is an award-winning physical theater located in Crystal City. In physical theater, the story is told through motion instead of relying on words. The mission of the Synetic Theatre is to "redefine theatre by blending innovative techniques and movement.” Synetic has rich educational programs in the visual and dramatic arts in the hope that this innovative performance style will draw in future audiences and rekindle a fascination with art and theater that is today dormant in most Americans. Synetic is best known for performing a number of the most popular Shakespearean plays through dance, acrobatics, gestures, and motion without using the bard’s celebrated words. Located on the border between Arlington and Fairfax Counties, Upton Hill Regional Park is a lush wooded oasis in the middle of one of the most populated areas in Virginia. 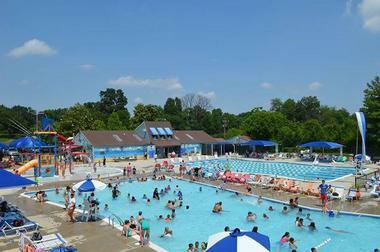 The biggest attraction is Ocean Dunes Waterpark, which has an enormous pool, a giant slide, and much more. The park also has popular mini golf course known for its 140-feet long mini golf hole, one of the world’s longest. There are also nine softball and baseball cages. Park trails are open daily for hikers and bikers, and the meadows are perfect for picnics and a relaxing day outdoors. 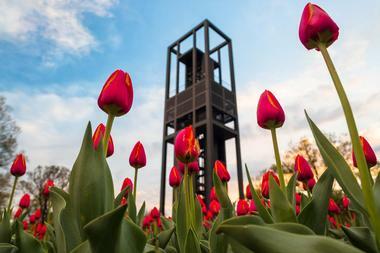 In the heart of the George Washington Memorial Parkway near Arlington Cemetery lies the Netherlands Carillon, a steel tower with open sides in which hang 50 bells. Netherlands Carillon is a gift from the Dutch people as a symbol of Dutch recognition for the American aid both during and post World War II. The tower is surrounded by lush colorful flower lanes, sculpted lions, and walking paths. The grassy slopes and beautiful shady trees around the carillon are perfect for a picnic, for enjoying wonderful view of the Washington, DC, or for listening to the automated concert that takes place on the carillon every day at noon and at six in the afternoon. During the summer, there are live concerts at the carillon every Saturday. The Liberty Tavern might not be a logical first choice when it comes to Sunday brunch, especially if you frequent the Tavern's hopping downstairs bar. However, the quiet, stately upstairs dining room with comfortable banquette tables is a perfect stage for a family Sunday brunch, and the menu is worth it. Executive Chef Matt Hill knows what to do with fresh seasonal ingredients and the food is delicious, flavorful and memorable. They bake all their breads and rolls, so be sure to take this into account when making your brunch choice. 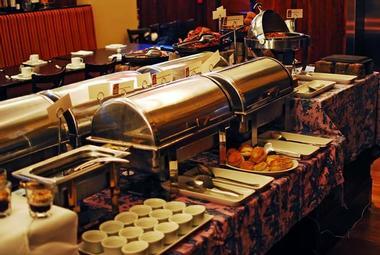 There is an all-you-can-eat buffet with additional rotating items that change seasonally. There is a little bit of everything, from Devilled Eggs and Homemade Quiche to pizzas and pancakes. Maybe not exciting but absolutely delicious. Wakefield High School Theater Department has been running Wakefield Theater Arts since 1952. Their focus is on providing students with rich and valuable experience through involvement in all aspects of theatre production. All students have the opportunity to audition for one of the many jobs linked to each of the performances. There are between three and four new and different performances every year. There is a fall drama production, a One-Act competitive winter production, and a spring musical. 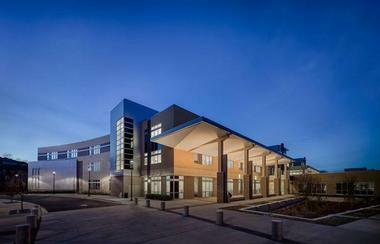 Performances are very well received by the community and are presented in the new modern school auditorium. All performances are open to the public. 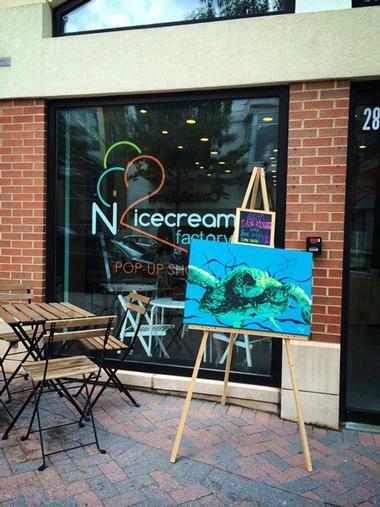 When you order an ice cream at Nicecream Factory, be prepared to experiment. It all starts with pouring cream, sugar, milk, and whatever flavors and ingredients you requested into the bowl of a large KitchenAid mixer. Then they add the liquid nitrogen, creating a cloud of gas that spreads all over the place, instantly freezing your ice cream into thick, creamy deliciousness. 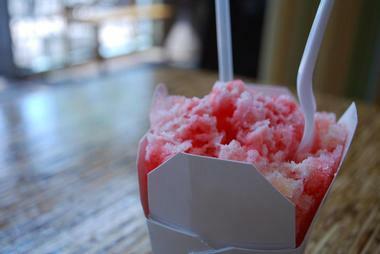 They use several obscure ingredients such as bacon,¬ mint mojito, pistachios, honey, and lavender, along with regular favorites such as strawberries, apple pie, and the like. Self-Guided Public Art Tours of Arlington allow for exploration of Arlington's beautiful public art murals, sculptures, and street art with the aid of printable PDF files and brochures offered by the city's visitor bureau. Dozens of public art pieces can be viewed within the city's downtown area near Arlington National Cemetery and the Potomac River, including majestic sculptures such as Wave Arbor by Doug Hollis, Flow by Erwin Redi, Radiolara by Wendy Ross, and Dark Star Park by Nancy Holt. Collection-specific tours are available on the city's website, traversing areas such as Virginia Square, Rosslyn, Pentagon City, and Ballston. In all, nearly 50 beautiful pieces of artwork may be explored throughout the city at visitors' leisure. Founded in 1996 by dancer and choreographer Lucy Bowen McCauley, Bowen McCauley Dance is a contemporary dance company and school based in Arlington. The company is known for its unique and sophisticated dance productions, its use of live music, and especially for its superb outreach programs that range from weekly dance classes for people with Parkinson’s Disease and their caretakers to workshops and multi-day residencies for school children of all grades. BMD organizes the popular annual Move Me festival, a free family-friendly culture and art celebration. The MBD has received many awards both for its artistic performances and for its active involvement in the community. 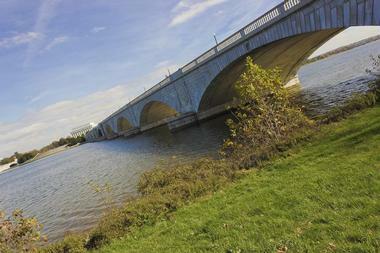 More Virginia destinations: 25 Best Things to Do in Alexandria. 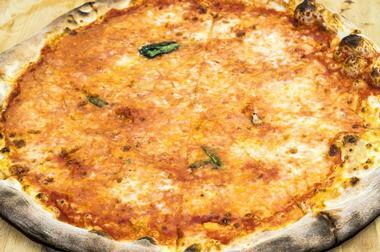 The kids will love Pupatella, a popular Neapolitan pizzeria located in Arlington whose authentic menu consists of Italian fare and wood-fired pizzas. The casual, family-friendly indoor/outdoor restaurant boasts wooden tables and a warm, inviting atmosphere and has a menu that will delight any pizza lover. From classic Margherita to prosciutto-and-arugula pizza, the menu has it all, and it even offers other Italian delights such as sausage-and-pepper sandwich, risotto balls, and sticky caramel-filled donuts for dessert. The outdoor area is ideal for families with small children and there is a takeaway option for those in a hurry. Bayou Bakery is a popular New Orleans-style restaurant in the greater Washington, D.C. metropolitan area, located within Arlington, Virginia's Courthouse neighborhood. The restaurant is helmed by executive chef David Guas, known as the host of Travel Channel's "American Grilled" show, and has been acclaimed by international publications such as Southern Living, Food and Wine, and Bon Appétit for its gourmet Louisiana-style delicacies. Diners can enjoy down-home cooking at breakfast, lunch, and dinner, including favorites such as barbecue pork, shrimp Creole, grilled pimento cheese sandwiches, and classic New Orleans-style beignets. Brunch is served on the weekends, pairing classic dishes such as stone-ground grits and biscuits and gravy with boozy favorites such as brandy milk punch and Cajun-style bloody marys. 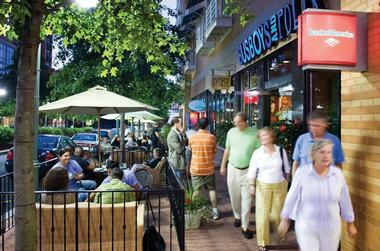 The Village at Shirlington is a shopping center located on South Quincy Street in Arlington. Opened in 1944 as the Shirlington Shopping Center, it was the first large shopping center to open in the Washington, DC area, and one of the first in the United States. After a period of decline during the 1970s, the shopping center was redeveloped into a 425,000 square foot facility and was renamed The Village at Shirlington in the mid-1980s. In 2005 the center was further expanded by the addition of apartments, condominiums, a branch library, and the Signature Theatre. The village is home to a large variety of boutiques, eateries, and other shops. Long Branch Nature Center is located in Glencarlyn Park, a 95.5-acre green, forested area with many nature trails, a popular dog park, an amphitheater, kids’ playground, and well-maintained picnic spaces. The center is a great bird habitat and a popular destination for bird watching. The most commonly seen birds are woodpeckers, warblers, and wood ducks. Picturesque Long Branch stream slowly flows through the woods before it passes by two ponds with thriving frog and turtle population. The valley around the stream provides home to foxes, raccoons, flying squirrels, and salamanders. The center organizes various exhibits, has a classroom, a kids’ Discovery Room, interpretive gardens, live animal displays, and a viewing pond. There are many fun activities and programs at the center such as campfires, story times, invasive plants cleaning, and much more. More places to visit: 27 Best Romantic Things to Do in Washington, D.C..